The U.S. constitution guarantees citizens the right to petition the government for a redress of grievances. And who's more aggrieved than people who want to bring cool, gray-market cars into the states? Sign a petition, and we all might get our wish. Gray-market cars are any vehicles imported through channels other than manufacturers' own distribution networks. Why would anyone want to do that? Because there are lots of cool cars offered regionally that we don't get here — for reasons ranging from corporate voodoo to incompatibility with U.S. safety and emissions laws. Ask an Audi nerd, for example, if he'd like to import a 1999 S3, and he'd jump at the chance. The S3 was sold in the UK, Europe, Japan, Mexico, South Africa, Australia and New Zealand, but never in the U.S.
U.S. laws allow the importation of grey-market cars freely, as long as they're 25 years old or older. Why the long wait? It's because lawmakers figure most old cars are collectors' items that won't see the kind of street action that, say, a late-model BMW M5 Touring will. And if you were wondering, yes, it's possible to have a newer car "federalized" into use on these shores, but there's a blinding flurry of red tape to sort through, spanning several U.S. agencies. Not to mention, you'll need a Registered Importer, plenty of time on your hands and pile of money. Between administration costs and the cost of retro-fitting emissions gear, in most cases you'll be on the hook for many times the price of the car itself. Oh, you're already in possession of a vehicle not meeting U.S. standards? Hope you like prison food. There's also something called the Show and Display rule, which exempts certain, limited-production cars based on their significance as collectors' items or museum pieces. Want a Bugatti EB110? You can have one. There's a list of cars currently approved for Show and Display [download here - PDF], and while the list keeps growing, it's far from comprehensive. Federal seizures have indeed been the norm in car-import cases for years. Each year it seems, there's another big bust involving Skylines. A few years ago, a company called Motorex performed crash testing in an attempt to federalize the Skyline for import. 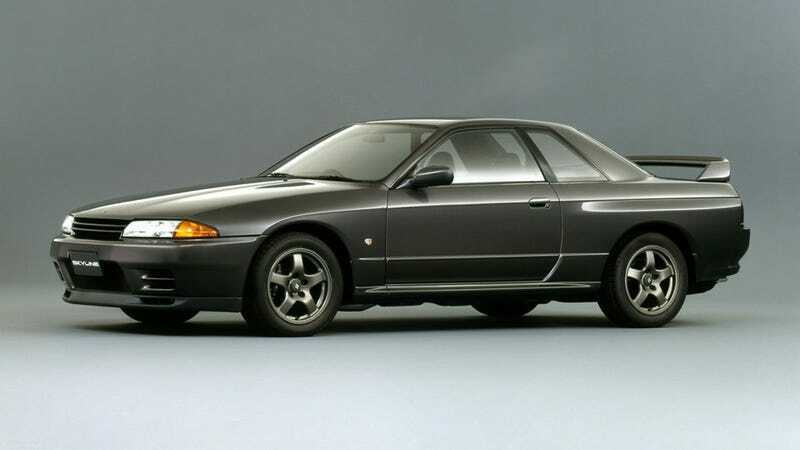 But the government ruled each Skyline generation had to be tested on its own (Motorex only tested R33s), making the cost of conforming the cars too great, and Motorex's business unraveled. Subsequently, many Skyline owners' cars were seized. Will the petition have an impact on the U.S. government's stance on independently-imported vehicles? Can a bunch of car fanatics counter the lobbying weight of manufacturers? The petition carries no real legal weight, but if they don't get at least around 23,000 signatures by next month, the movement could all be over before it starts.